iPhoneinCanada.ca Wins a 2010 Golden Retrevo Award! 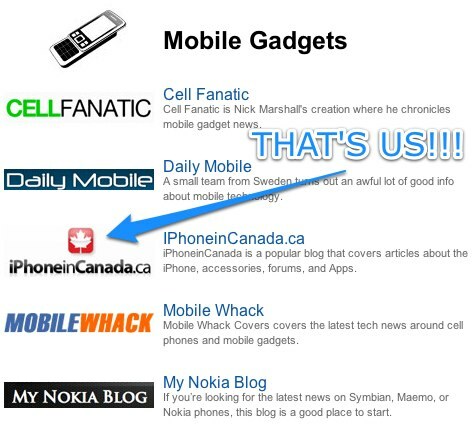 Remember back in late December, when I mentioned how iPhoneinCanada.ca was nominated for a 2009 Golden Retrevo Award? We were originally nominated under the “All Things Apple” category, but yesterday we found out we won an award under the “Mobile Gadgets” category (I sure hope that was right)!